Whenever fall arrives I find myself in the mood for pumpkin bread, spiced lattes, and the scariest ghost stories I can find. Don’t get me wrong, I am terrified of anything that goes bump in the night, but I still love reading about the supernatural. Ancient curses, haunted mansions, and spooky old legends are my favorite. A few years ago I became fascinated by the curse of the French Blue diamond. This rare and priceless stone is known to many as the Hope Diamond and resides in the Smithsonian Museum in Washington D.C. Before it became a beloved tourist attraction the French Blue left behind a bloody and terrifying trail. The curse begins in 1642 when a Frenchman named Jean Baptiste Tavernier plucked the enormous blue diamond from the eye of an idol during his travels in India. After returning to France and selling the diamond to King Louie XIV, Tavernier continued his travels to Russia where he was reportedly ripped to pieces by wild dogs as punishment for removing the stone. The diamond was later re-cut and passed down to Louie XVI and his wife Marie Antoinette. Both were executed by the guillotine during the French Revolution and many believe it was the diamond’s curse that caused such a violent end. After the French Blue was stolen from France it remained lost until 1812, when it mysteriously appeared for sale in London. There are rumors it was purchased by King George IV, and several paintings portray him wearing a very large blue stone in a pendant. The French Blue eventually resurfaced in America in the hands of Henry Philip Hope and was renamed the Hope Diamond. The curse soon struck again, as the once wealthy Hope family went completely bankrupt after taking possession of the diamond. In 1910 Pierre Cartier sold the diamond to Evalyn Walsh McLean who proclaimed the cursed gem her good luck charm. According to legend the wealthy woman was obsessed with the blue diamond, refusing to take it off even for surgery. Sadly, it not the good luck she wished for. Evalyn’s family had their own share of tragedy when her first born died in a car crash, her daughter committed suicide, and her husband was confined to a mental institution. Many saw this as the long fingers of the diamond’s curse, but Evalyn stubbornly wore the diamond until she died. It was sold in 1941 to settle debts from her estate and purchased by Harry Winston. Winston wanted nothing to do with the diamond’s curse and later, some say for mysterious reasons, offered to donate the diamond to the Smithsonian Museum. Leave a comment for a chance to win Priceless Deception. Jennifer Ann Coffeen is a published author currently living in Chicago. 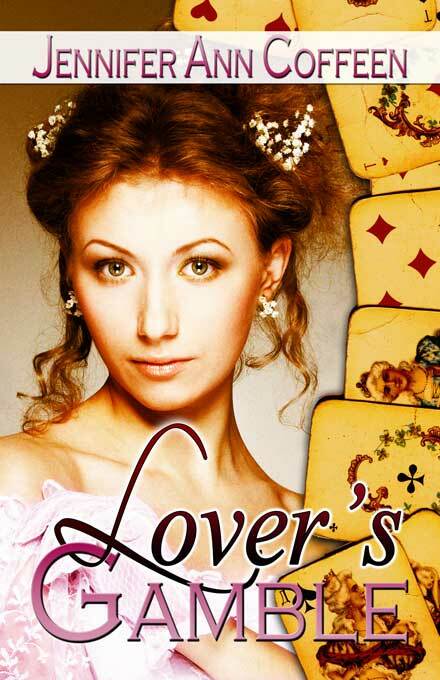 Her novel Priceless Deception and novella Lover's Gamble are both available now from The Wild Rose Press. Her work has been featured regularly at the kates, a group of women solo performers who perform the last Saturday of every month at the Book Cellar in Lincoln Square. Jennifer is a founding member of the kates, and has also written and performed original work as part of Numbskull, the Human Blockhead; The Muffin Basket Cases; and Beastwomen Female Cabaret. She is a graduate of Columbia College, and has studied at Story Studio Chicago, where she also works as part of the Chicago Literary Alliance. 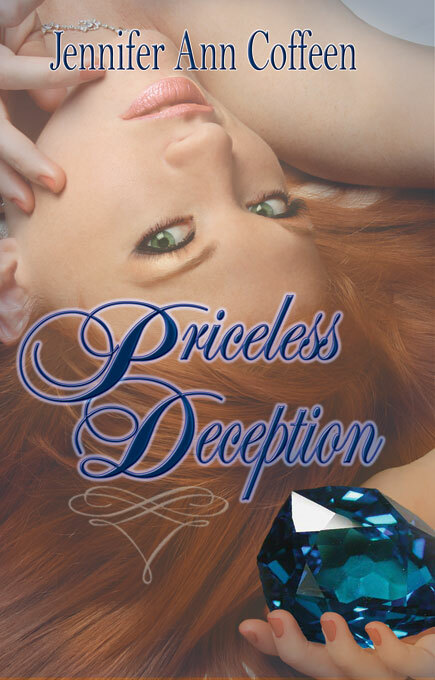 Jennifer is currently working on a sequel to Priceless Deception. Visit her online at JenniferAnnCoffeen.com, www.facebook.com/JenniferAnnCoffeen, and @jencoffeen. I love diamonds so this was really an interesting article. Your book sounds really interesting. I have yet to read one of your books so would love to win this one. How fascinating! Thanks for enlightening us. I guess the curse must be linked to people who actually buy and keep it since no tragedy befell Winston or the Smithsonian Institution. Smart guy, Winston. Very wise of him to donate it. Thanks for stopping by everyone! The Hope diamond has such a fascinating story. It was only in the last decade they were able to confirm it really was the French Blue, though a much smaller size than the original. Can you imagine the man who had to cut such a rare and cursed diamond? What an interesting post. I never knew all that about the diamond. thanks so much for sharing. How cool, Jennifer. I didn't know the diamond in your story was about the Hope Diamond. I think the curse is fascinating. Great post! Time to announce the winner!! Thanks to everyone for commenting and stopping in. And the winner is *drum roll* Mountain Laurel!! Congrats. 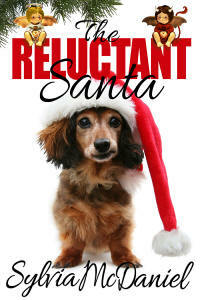 I'll be sending you an ebook copy of Priceless Deception this week.